One of the biggest island of Canary Islands. It’s one of the most popular and internationally famous. Tenerife, and its capital Santa Cruz de Tenerife are entertaining destinations for all the family. But, if you prefer relaxing holidays, in which you explore the destination, looking for the best landscapes, sunbathing and having a quiet stay, you should also travel to Tenerife. Tenerife is the perfect destination whatever the reason of your travel is, whether you are travelling with your family, couple or friends. If you are planning a family holiday to Tenerife, here’s a list of some recommendations for a memorable holiday. Beaches are the main tourist attractions in Tenerife. 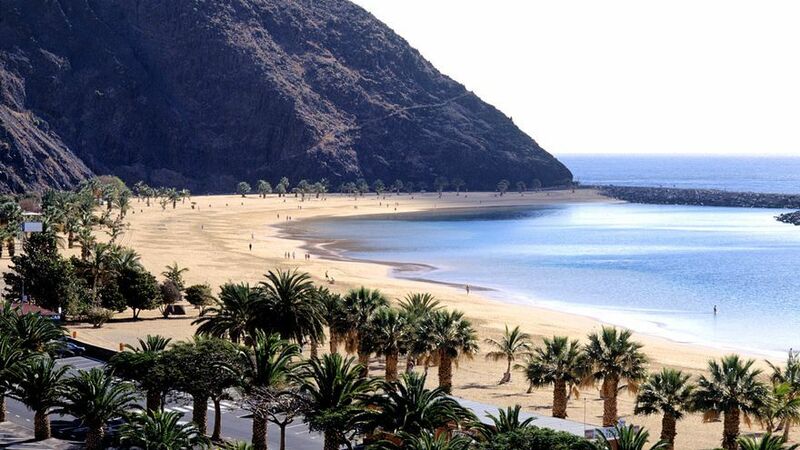 If you are travelling with your family, you should visit its sandy beaches, as Tenerife’s coast is one of the most beautiful coasts in Spain, only comparable with Catalonia Coast or Majorca. Its natural beauty is unique. In the National Park El Teide in Tenerife, we can find the highest mountain in Spain, Teide’s volcano. This natural area is a huge space for mountain lovers who come from all over the world to enjoy its amazing landscapes. In this park, you can be accompanied by professional guides that will guide you through the best routes, so all the family enjoy the trip through the volcanic landscapes. If you want to climb El Teide, there are two possibilities: you can walk or take a teleferic. The second one is much more comfortable and is not really expensive, and the first one is extremely physically demanding, but your family will enjoy a night at the park looking at the stars, as they are seen on the top of the hill as nowhere else. You must book in advance if you are planning to visit the park with your family and stay overnight at the park. Apart from its delicious gastronomy offer, its fabulous activities and events programme make your family stay a great experience. Don’t wait any longer to enjoy this experience in Tenerife. Puerto de la Cruz is an old fishing village that has become through the years one of the most important tourist enclaves of the Tenerife island. Its wonderful weather, the open nature of its residents, it numerous places of interest, and its wide offer of services make this city an ideal destination all the year long. It is placed on the north coast of the Tenerife island, at the foot of Teide, in the Santa Cruz de Tenerife province. Its fishing harbour was one of the main drivers of the local economy and dynamism, nowadays it is a place frequented by bathers and fishing enthusiasts. Visiting this city is a pleasant experience at any time of the year. In summer months, its beaches become one of the main place of interest in Puerto de la Cruz: Jardín beach, Martinez beach and San Telmo beach are the most known ones. Another very attractive tourist complex is Costa Martinez, an architectural creation that integrated a lake with 5 natural islands where you can find a good variety of establishments, such as several restaurants and casino. But Puerto de la Cruz is much more than sun and beach. Its numerous emblematic places worth a visit. Among them, stands out the San Felipe Castle, one of the most important fortifications from where the city was defended against the pirates. El Peñón del Fraile is an iconic symbol of the city visited every year by crowds of tourists wanting to take photos of it. Plaza del Charco is another key point of the city where it is usual to see tourists and residents walking around, drinking something in its terraces or shopping. The high quality cuisine of Puerto de la Cruz is one of its most outstanding characteristics. There is restaurants for all tastes and pockets, where you can enjoy the regional, national and international cuisine. Puerto de la Cruz has also a wide range of hotels, among which stands out the Elegance Hotels chain. This firm possesses three hotels specially designed for families: Elegance Miramar Hotel, Elegance Palmeras Playa Hotel, and Elegance Dania Park Hotel.